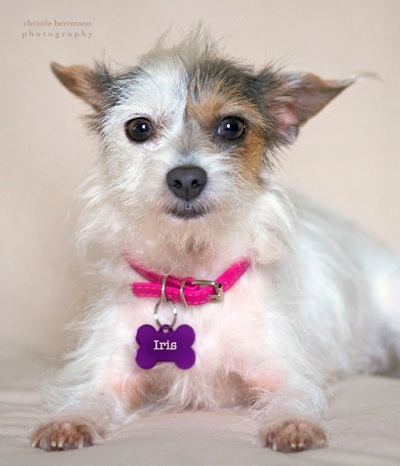 Iris was found on the streets with almost no hair and her skin was ravaged by fleas and the elements. While we were trying to get her healthy she surprised us by giving birth to 2 puppies, but only 1 survived Even the vet did not realize she was pregnant! Iris' skin has healed and some of her hair has grown back, but the vet thinks she may just have a bit of hairless gene in her. It is very thin and whispy. She does have some allergies that we've been trying to pinpoint so good nutrition is a must. Iris wants to be held and cuddled, but she's a little hesitant at first. She has the cutest little wiggle when you talk to her. 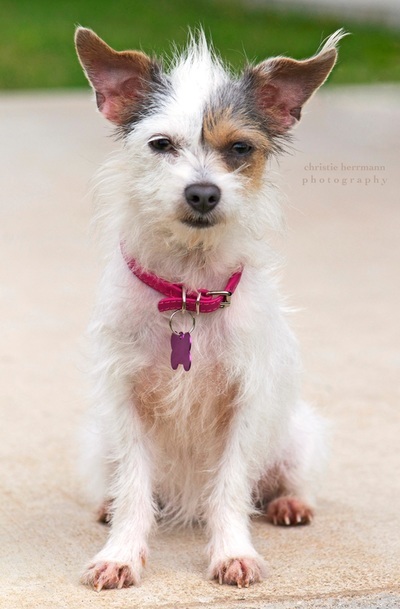 She's fine with other dogs, but not necessarily playful so she would be fine as an only dog or with a doggie sibling. 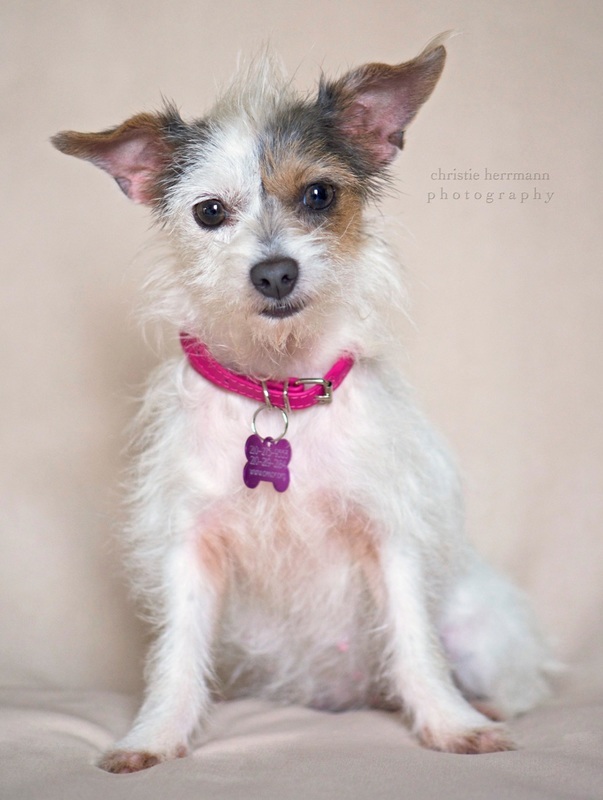 She's absolutely precious and deserves an amazing home.